Port Discovery Children’s Museum is a children’s museum in Baltimore’s Inner Harbor. 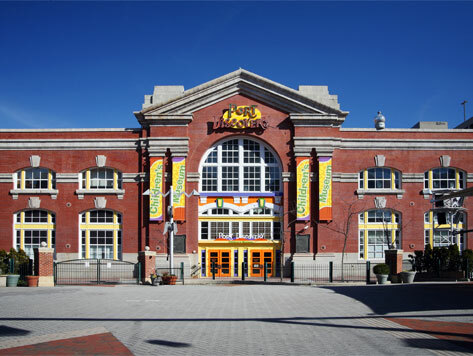 It is located in the Baltimore’s historic Fishmarket Building, adjacent to the Power Plant Live entertainment complex. The museum was ranked among the top five children’s museums in the country, and offers three floors of interactive, educational exhibits, and special programs for young children. Special exhibits at the museum include the BGE StudioWorkshop, Adventure Expeditions, Harvest Hill, Kick it Up!, KidWorks, and more!